Obituary for Janet (Carlos) Arthur | Collins Funeral Home, Inc.
Janet Carlos Arthur was born May 24, 1919 in Camden, South Carolina to the late Deacon Jim Carlos and Maggie Long Carlos. She entered into rest on January 26th, 2019 at Springdale Healthcare. She attended school in Kershaw County. Mrs. Arthur worked as a housekeeper and cook for a number of years until her retirement. Mrs. Arthur was a former member of the Twelve Tribes of Israel, Chapter #26 of Kershaw County. 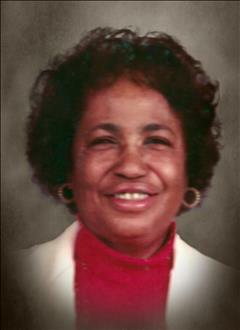 She was a member of Bethlehem Baptist Church where she served on the senior choir. She supported her church faithfully with her presence, finance and prayers. She was preceded in death by her late husband, Robert Arthur; son, James A. Lawson; five brothers; and seven sisters. Those left to cherish her memory include, granddaughters, Janet Rita Kenner of Columbia, South Carolina, Tina Allen of Camden, South Carolina, and Gina Pollard of High Point, North Carolina; three great granddaughters; one great-great grandson; special niece, Maggie Davis of Camden, South Carolina and a host of nieces, nephews, other relatives and friends. The family of the late Mrs. Janet Arthur gratefully acknowledge the many acts of kindness and other expressions of sympathy extended to them during their time of bereavement. A special thanks to the nurses and certified nursing assistants (CNA's) of Springdale Healthcare Center and the doctors of Sentinel Health Partners of Camden and Lugoff offices and Glenetta S. Johnson, for her friendship, love and care.